Bioctive peptides are small peptides composed of between 3 to 20 amino acid residues. Plant and animal food proteins are a source of a big number of bioactive peptides. These peptides have different uses within the pharmaceutical, medical, cosmetic, and food industries. 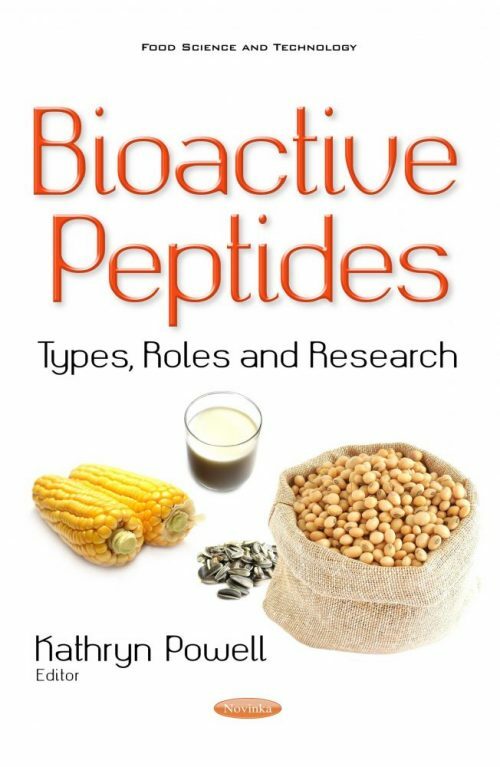 In science literature, peptides from food proteins are reported to have biological activities such as antimicrobial, antioxidant, antitumoral, anti-inflammatory, antiviral, opiate, antithrombotic, and anti-hypertensive activities. This book reviews the types, roles and recent research of bioactive peptides.